Most people wouldn’t give a second thought to the rural Haitian settlement outside the coastal town of Aquin. It’s off the beaten path and not a place many would want to live. It’s inhabitants live on meals of rice and millet with meat added once or twice a week. Most of the homes in the area have two or three rooms and tin or grass roofs. It’s a tough environment to live in. And the spiritual environment is challenging as well. There are a variety of spiritual influences in Aquin from Voodoo to Catholicism. 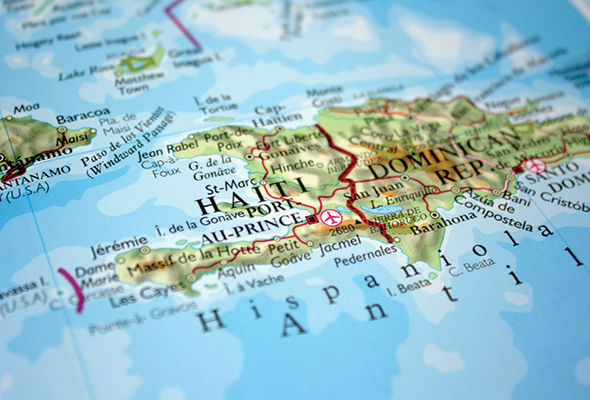 But Sous de la Gras (Source of Grace), the association of churches that partner with GlobalFingerprints in Haiti, has not forgotten the people of Aquin. They recently approached the GlobalFingerprints leadership to ask if they could launch a new GlobalFingerprints site there. Jennifer Blevin, GlobalFingerprints Country Leader in Haiti explains. They recognized the need in Aquin as well as how much GlobalFingerprints is benefiting the children and families in Port-au-Prince. With the leadership of the existing staff willing to help get this new site off the ground, it was a no-brainer. The GlobalFingerprints site in Aquin is now up and running. For the site to be self-sustaining we still need more sponsors for the children there. If you would like to help the Haitians reach out to the vulnerable children in Haiti, please consider sponsoring a child in Aquin today. To do that click here and look for Sous de la Gras, Aquin under the “Country” category.